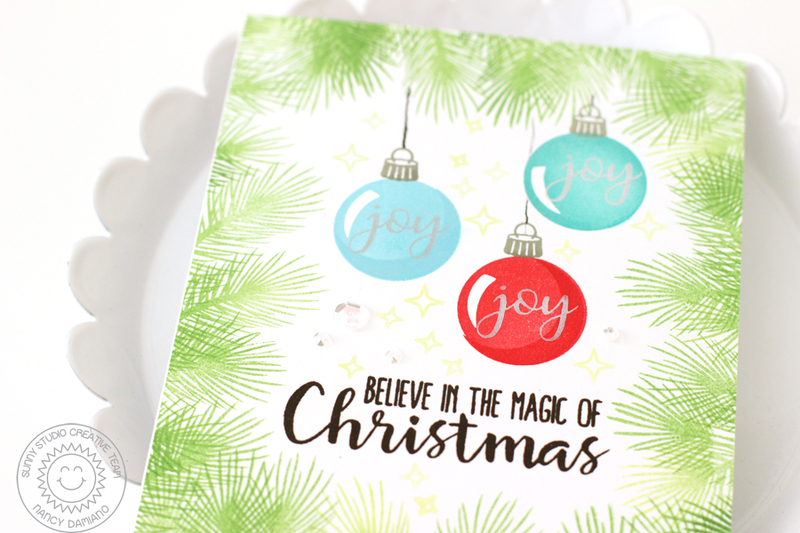 Join me over on the Sunny Studio blog today for the advent calendar extravaganza hop. 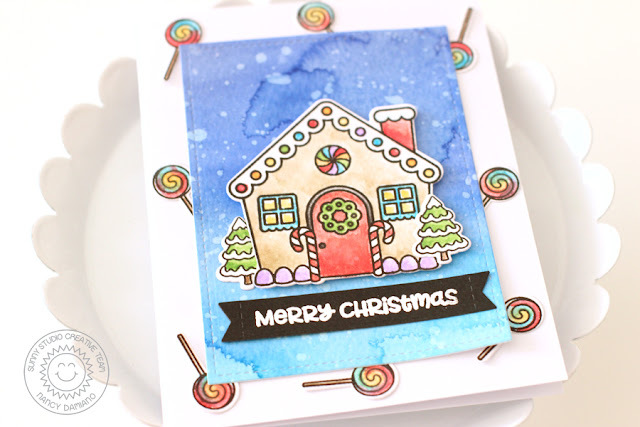 Here's a peek at the card I made using the Holiday Style Stamp Set and pigment ink. I have a full set of instructions and some more photos over on Sunny Studio. Hope to see you there! I'm wrapping up the Christmas card making for the season with one of my favorite sets from the Sunny Studio holiday release. This one is a dream to color. There are so many possibilities and color schemes for a village of gingerbread houses. This was such a fun card to create with some simple watercolor techniques. 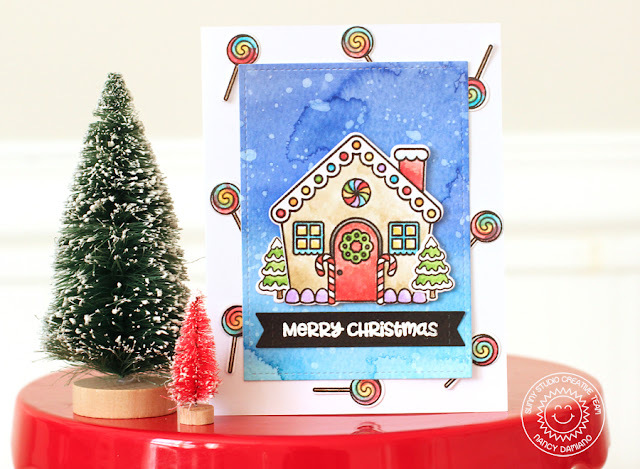 Check out the Jolly Gingerbread stamp and steel die set for your next round of Christmas cards!